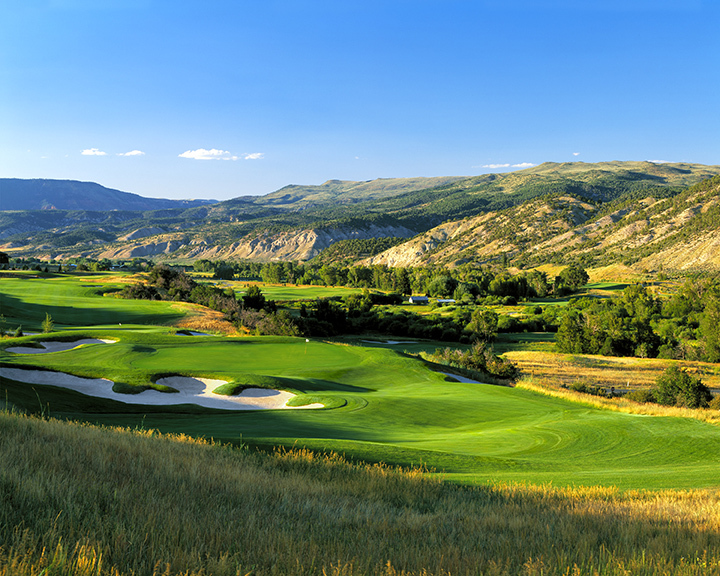 A classic mountain golf par-3. The green is nearly 100 feet below the back tees. A smart player judges elevation, wind, and temperature before selecting a club. Once the decision is made, commit to it and make solid contact. The green area is appropriately huge given the length of the hole. Several zones require full attention until the ball is holed.